As we know, stories don’t always follow a chronological structure. They can jump from one point to another, going back and forth in time. There’s a name for these randomized narratives and they’re called non-linear narratives. A non-linear narrative is essentially a story that doesn’t follow a set pattern and events become disjointed and unpredictable. This kind of narrative is often implemented as a form of art, like in film or novels, and even coding. We’ll take a look at two projects that kicked off the popularization of non-linear narratives through coding and technological inventions. One early example of a coding-based non-linear narrative, is the text-based game, Zork. Released in 1980, Zork was influenced by another game called Adventurer, also known as Colossal Cave Adventure, and runs in the same adventure-themed vein as Dungeons & Dragons. As a text game, Zork is played by reading and typing. A text-pressing engine tries to make sense of typed commands. Zork has a limited syntax to enable exploring and engaging with the fictional world. So, the premise of the game involves a player typing in specific actions which trigger responses in return. Zork is recognized as one of the first commercially successful interactive fiction games. Around the same time Zork was released, reader-driven narratives were popularized on paper through a series of “Choose Your Own Adventure” books marketed towards young adults. Titles like The Cave of Time (1979) and Journey Under the Sea (1977) ignited the popular imagination along with their desire to participate in non-linear stories. This desire has persisted through the present with role-playing games, narrative-heavy video games, and recently film, with Netflix’s interactive movie Black Mirror: Bandersnatch (2018) being a modern iteration. In LORNA, players experience the life of a woman afraid of the outside world. Another example of exploratory software is LORNA by Lynn Hershman Leeson. Created from 1979 to 1983, her work existed in the form of a laser disc (large analog video disc.) It’s the size of vinyl record, looks like a CD, and can store high resolution video. Although, unlike a record, a laser disc can skip to any position on the disc to play the video back in a non-linear order. The LORNA software is an interactive fiction that’s a vehicle for people to virtually adopt the persona of the lead character “LORNA”, a woman who lives in fear of the outside world. 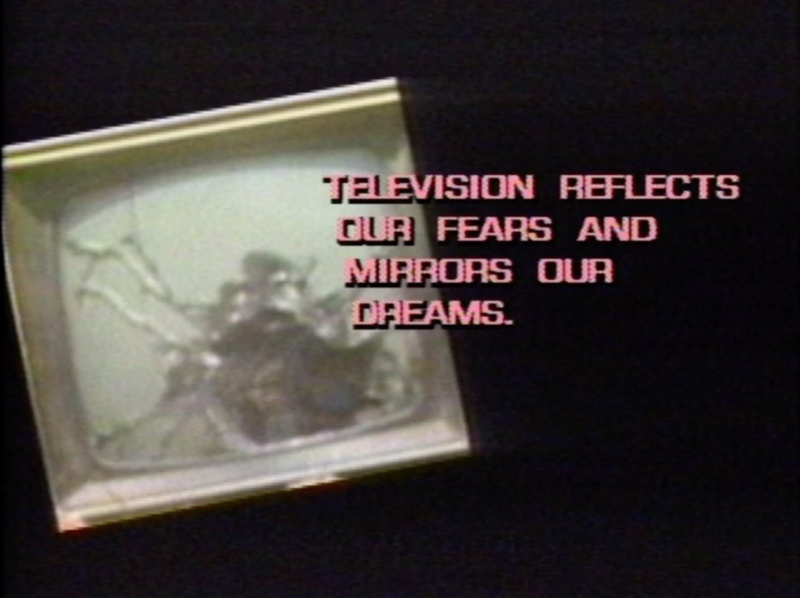 LORNA’s fear stems from the media on her television. Leeson intended to use the software to become a space of contemplation and various interpretations outside the context of film and photography. She wanted viewers to become the character and to make decisions that would lead to different outcomes. The LORNA software allowed viewers to make a series of choices which affect the outcome of the narrative. The software is modeled around paper index cards that users can organize and edit to their liking. Users could even hyperlink from one card to another and embed interactive features like sound and visuals into the cards. Like the web, HyperCard was built around the idea of hypertext and linking from one document to another. Those features then came into fruition with the release of the Mosaic web browser in 1993. HyperCard Software was designed to be a non-linear software experience, a precursor to modern web browsers. From the Myst Software (stored over 60 minutes if low-resolution video on a CD) to the CD companion to Beethoven’s 9th Symphony, HyperCard and compact discs were breakthroughs that allowed new kinds of software to be imagined and created. The appeal of non-linear narratives reflect a curiosity in the unfamiliar and unexpected. As technology widens digital experiences and makes them more nuanced, the breadth of possibilities expand with it, fueling the desire for the chance to be able to control one’s own narratives down to the smallest details.